Visit our online store to search for your favorite promotional products. 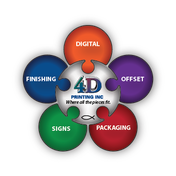 Our goal at 4D Printing is to simplify the printing process for our customers. To reach our goal, we have created this website loaded with many helpful features. Please take a moment to browse our website and contact us to provide any feedback you have. 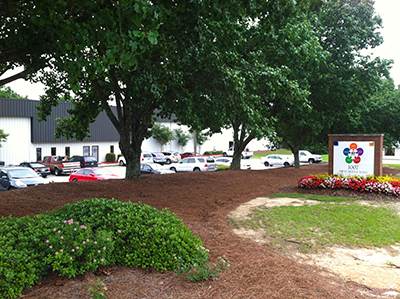 To place an order or request an estimate, enter our online Customer Service Center. To download useful software and find helpful information, search our Resources and Support area. To learn more about us, browse through our Company Information section. An easy-to-use menu, search engine, and link to our contact form appear on each page. As well, feel free to consult the site map at any time if you're having trouble locating a particular item. If there's anything we can do to improve our site, please let us know. Enjoy your visit! The all new 4D Promotional Store for all your promotional product needs. Whether you want to give out door prizes at your next event or leave a memorable gift with a prospective client, you're sure to find the perfect promotional item in our catalog. This is a great marketing tool for your company that gets noticed wherever it's placed. Convenient ordering and competitive pricing. What are you waiting for? Clicking the link will open a new window. The Versafire CV delivers razor-sharp high-resolution images created by laser which has a resolution of 1200 × 4800 dpi. It’s designed to be able to handle large paper formats as well as standard sizes. The Versafire prints with four inks and is capable of printing white ink and a high gloss clear coating. The inline booklet maker speeds up book finishing so they can be printed and delivered quicker. 4D Printing frequently has updates and/or upgrades to products and services. Be one of the first to receive the news. Join our mailing list.